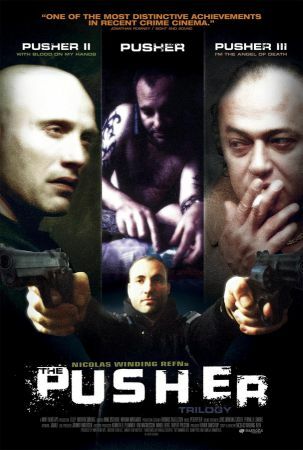 The Pusher Trilogy sounded pretty cool, three films about some drug dealer pushing his stuff, violence, action, atmosphere... outside of Science Fiction and Fantasy, what could be cooler? Too bad they didn't turn out like I thought. No big shootouts or giant action scenes, these films are pretty much all about the drama... well, at least the second two films were. I didn't actually get to see the first film, Pusher, because strangely enough my copy had Pusher II on it. And my copy of Pusher II? Well, it also had Pusher II on it. So I had 2 Pusher II discs, 1 Pusher III, and none of the first Pusher. 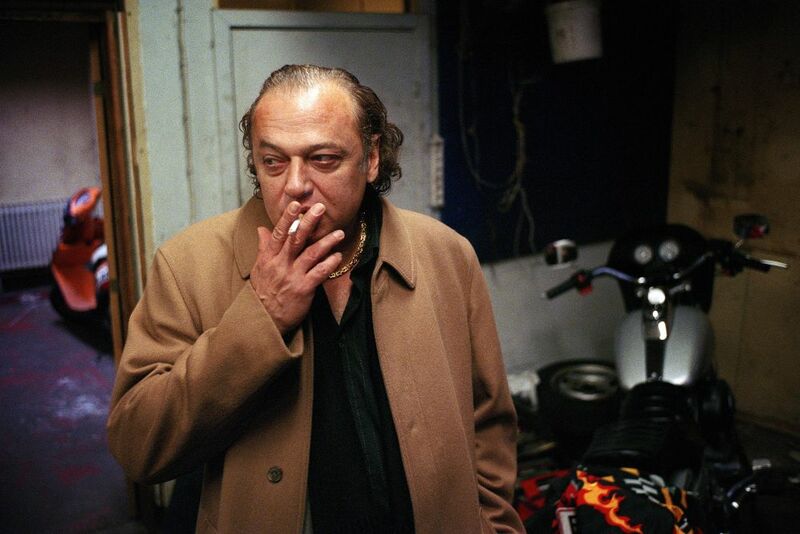 Okay, so Pusher II: With Blood On My Hands is all about this guy named Tonny. I guess he's supposed to be a drug pusher, but I don't recall him ever actually dealing, just using. Anyway, he was just released from prison, so he goes to his father, called the Duke (okay, now that's cool), in order to get a job (as Tonny says, he always owes someone money). But daddy doesn't want junior working for him. At first I thought it was because his dad was all legit and couldn't stand how his son would do whatever evil things he has done... but then we find out that daddy steals and sells stolen cars... and he wants to have the mother of his other child killed because she's threatening to inform the police and take the child from him. So basically this film is really just a week in the life of Tonny. He finds out that he probably has a son with some woman, but just shrugs if off. He goes to some prostitutes to get laid, but can't get it up. He finds out his mother died almost a year ago. He helps his friend out of a jam by shooting him in the arm. And yet, he seems to have very little reaction to any of this. It's not until we reach the end of the film that we actually get to see something come out, but by that point the film makers had lost me. Sorry, but I was just bored, wondering how much longer it had to go. But on the plus side, it did feel very realistic. They definitely had a nice atmosphere working there. The third film, Pusher III: I'm The Angel Of Death, I have to say was definitely better than the second, though it was still nothing great. This one focus on a minor character we met in the second film, an overweight middle-aged drug dealer named Milo. This film had more going on, and took place over a single day, which I believe made it much more interesting to watch. So it's Milo's daughter's 25th birthday, and he's all stressed out trying to get the party to go off without a hitch. Of course, there will be hitches. First off, even though he is a dealer, he is no longer using. He is only five days clean, so the stress of the day is really taking it's toll. He has to find reasons to excuse himself so he can slip into his support meetings. Then, of course, he has the problem of the drugs he was supposed to deal were not where they were supposed to be. In their place: ecstasy pills, which he knows nothing about. So does he give them back and wait for his heroin, or does he try to sell them? Unfortunately for him, he tries to sell. That... doesn't go so well. So now he has neither the pills nor the money to give back, which puts him in quite a predicament. Oh yeah, and on top of all this, the food he was preparing for the party made all of his henchmen sick... like really sick. Then, at the end of the night, when things reach their boiling point for poor drug-dealing Milo, he finds himself having to make choice, one that may help to ease his conscious, but one that he surely will surely stay with him the rest of his life. 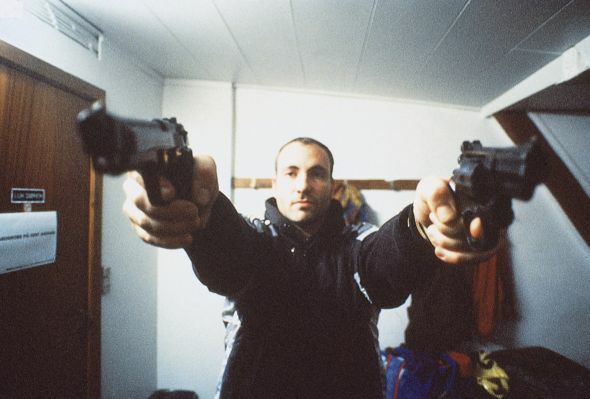 The Pusher Trilogy is being released by Magnolia Pictures to theaters in August. Check out the offical website for more information.